My toddler Yaakov loves Cheerios with banana slices. Truth is, if I was willing, he would be thrilled to consume Cheerios with banana slices and no other food whatsoever. While cleaning for Pesach, I’ve been noticing Cheerios all over the place. Under book shelves. Inside beds. On window sills. Which got me wondering…How did those Cheerios arrive at such far-flung locales so far from the kitchen table? Then I realized that those Cheerios got stuck onto Yaakov’s pants and sleeves and body, and then he transported them all over the house. 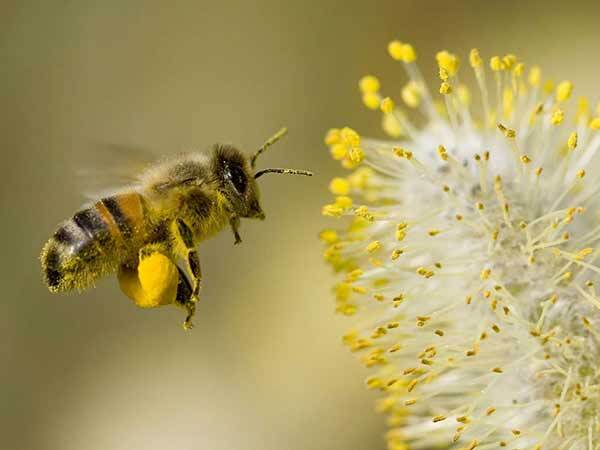 Just like pollen sticks to a bee’s legs to pollinate distant flowers. 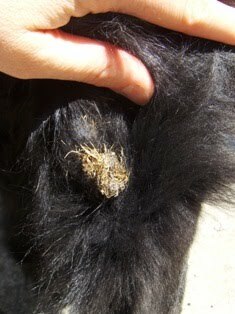 And burrs stick to an animal’s fur to reach distant fertile soil to grow in. So too those naughty Cheerios stick to my wandering toddler to reach the formerly cleanest corners of the Weisberg home. So true. So true. We have found all kinds of chometz in far-flung places thanks to our toddler, but it reminds me WHY I am cleaning. Chag KASHER v’samayach. Hatzlacha cleaning. Is that him in the picture? It’s funny, while cleaning all I think about is, BH I don’t have toddlers anymore!! I was assured many years ago that a cheerio is not a kazayis! However, I found about 8 of them stuffed down the throat of a hollow toy dinosaur this year. I had to extract them with tweezers. hilarious! was the surgery successful? This made me laugh! For years, all I found for pesach cleaning was cheerios! I read about an experiment – where all they fed the rats were Cheerios and they thrived! I think it is the variety – not just oats but also wheat, corn, and vitamins. just not great for cleaning since they stick when damp and roll when dry! Baruch Hashem for Kemach Cocoa Munchees! 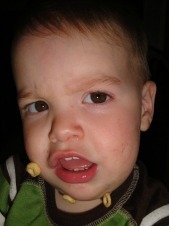 i don’t allow cheerios into the house because i personally can’t stand their smell…. so i introduce my babies to Cocoa Munchees, which are made from CORN, and are therefore, kitniyos. so, if i miss a few thousand munchees while cleaning for pesach, i am not fraught with fraughtkeit. ladies, we did this to ourselves– think outside the Cheerios box during the year and pesach cleaning can be easier when it finally arrives. a chag kosher v’sameach to everyone! I must be a lone monster. Am I the only mother who doesn’t allow her kids to eat around the house? If they want to eat, they have to sit! Especially the toddlers, even when they kick and scream over it… They get it eventually. Then it’s : a sandwich? A cracker? Ok, take a seat and I’ll bring it to you….. Call me obsessive, but it works! Am with you. You eat? You sit. In the kitchen. I’m the same way in the house but it’s great to let them graze if they are outside. When it’s nice I just give them a “walking lunch” and they walk around outdoors the whole time they eat. No cleaning for me, and they get to move. Inside we do make them sit in their seats.